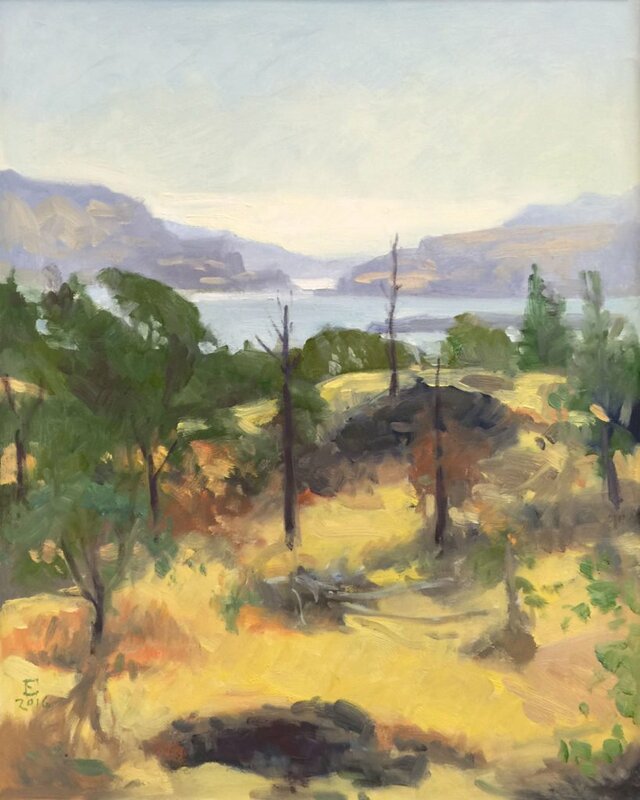 From August 22-28 I participated in the Pacific Northwest Plein Air 2016 event in and around the Columbia River Gorge near Hood River OR and Maryhill Museum, Goldendale WA. The event was a competition, exhibition and sale, hosted by the Maryhill Museum. 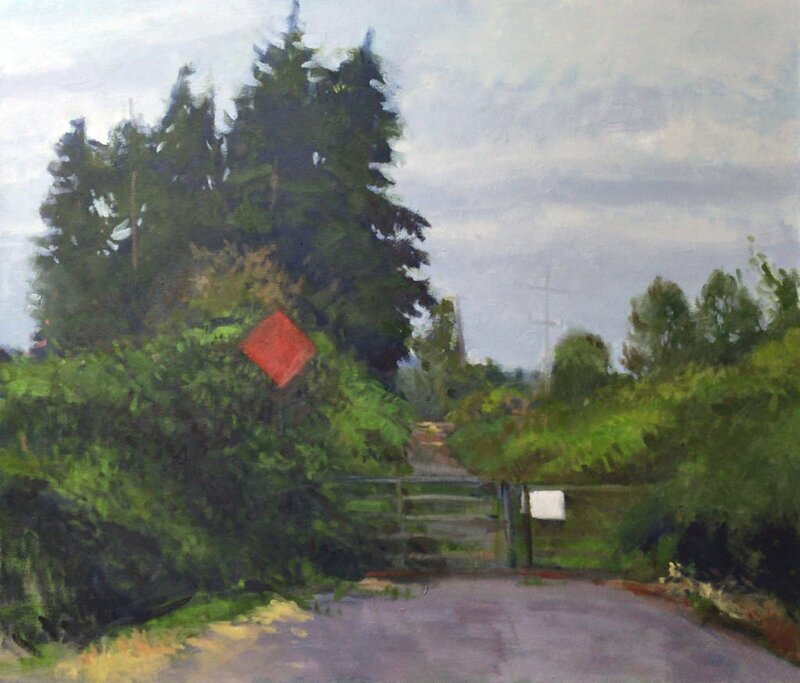 This is a painting that I’m currently working on site, at the Snohomish Valley viewpoint. We are looking west on an unused Department of Transportation right of way, with gate chained shut and marked no trespassing.